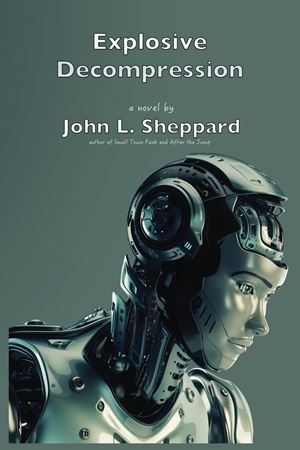 Featured Indie Book on Indie Author News: Science-Fiction Novel Explosive Decompression by John L. Sheppard. The Book has been self-published via Amazon and is available as eBook - 426 Pages - released in September 2016. In a world that is a science experiment gone horrifyingly wrong, Dr. Audrey Novak awakes from a centuries-long sleep to discover that her work has been used to create an appalling world. Aided by commoners, bots, and another refugee from 20th century America, Audrey takes on the power elites on Earth and on the Moon in a novel that is equal parts adventure, science gone haywire, and rollicking humor. 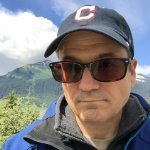 John L. Sheppard was born in Ohio, in a town just outside of Cleveland, a few days after Christmas 1963. His memories of Cleveland are of lots of snow, smoky bowling alleys and banged knees turned crusty-scabby. The author's family moved around a lot when he was a kid. They ended up dropping roots in Sarasota, Florida.